Every capital city has seen a deterioration in the rental yield profile over the past twelve months, yet in would seem the Brisbane market showed one of the worst results. Gross rental yields have reduced from 3.7 per cent across the combined capitals twelve months ago, to 3.5 per cent at the end of March this year. 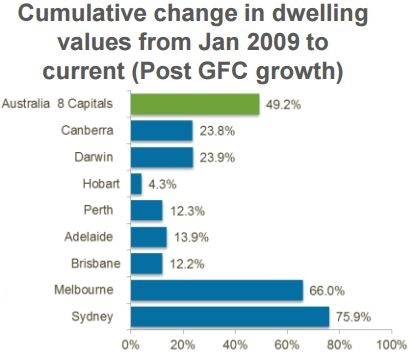 The quarterly increase in home values was broad based across the nation’s capitals, with Brisbane (-0.1%) being one of the few cities to record negative movements in dwelling values over the past three months. Growth rates are likely to be substantially lower than what has been recorded over previous years, while some of the underperforming capitals, such as the Brisbane Market may see some acceleration in their rates of capital gain by 2017.